The city of Racine once again participated in the national “America in Bloom” Competition. America in Bloom was founded in 2001 to promote the expansion and cultivation of welcoming and beautiful places to live. America in Bloom is the only organization of its kind offering an award program with on-site, one-on-one mentoring and coaching by a team of expert judges. The team toured Racine from June 26-27. The judges provided the local committee with a detailed, written evaluation following its visit. The evaluation is based upon six criteria: floral displays, urban forestry, landscaped areas, heritage preservation, environmental efforts, and the overall impression/cleanliness of the community. 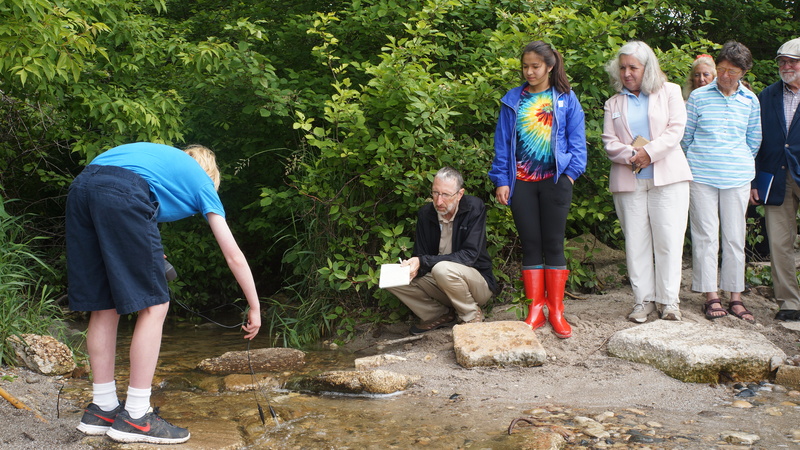 After a conversation with Dr. Jean Weaver, Upper School Science Department Chair & Sustainability Coordinator, at a local Science Day, Alderman Melissa Kaprelian-Becker found out about the impressive water-testing program the Prairie School 3rd Graders operate. Since environmental efforts play a key role of the evaluation, she quickly acted. 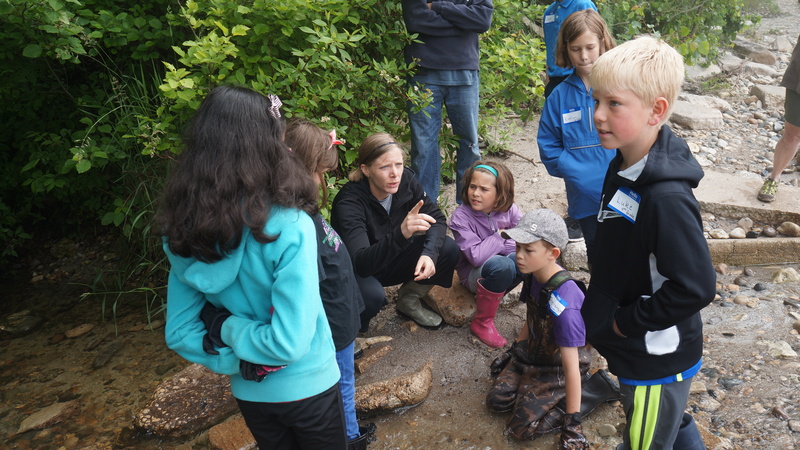 After contacting the 3rd Grade teachers, Mari Grobschmidt and Kim Leinweber, she designated the Prairie Stream as an official stop in the Bloom tour. The judges listened as the students presented on the importance of water testing and its effects on the environment. 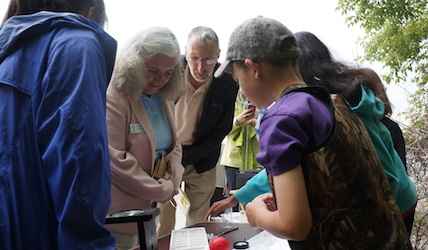 The demonstration covered the following topics: oxygen and temperature, transparency and turbidity, PH, E-coli, and macro invertebrates. The Prairie School is very proud to have been chosen to participate in such a prestigious and environmentally conscious national competition. More importantly, we are proud of our 3rd Graders’ initiative and enthusiasm. This entry was posted in All News, All School, Featured, Learn More About Prairie, Primary School, Sustainability by Communications Department. Bookmark the permalink.